Completed in 1757, the house was once described as 'an elegant and recherché mansion, suitable for a wealthy merchant prince'. Today the house boasts a stunning main hall, conservatory, theatre, dining room and several private rooms with magnificent views overlooking Bushy Park. The house is available for corporate and private events, seminars, training, exhibitions, weddings, concerts and filming; the privately owned property is not only breathtaking but remarkably adaptable. 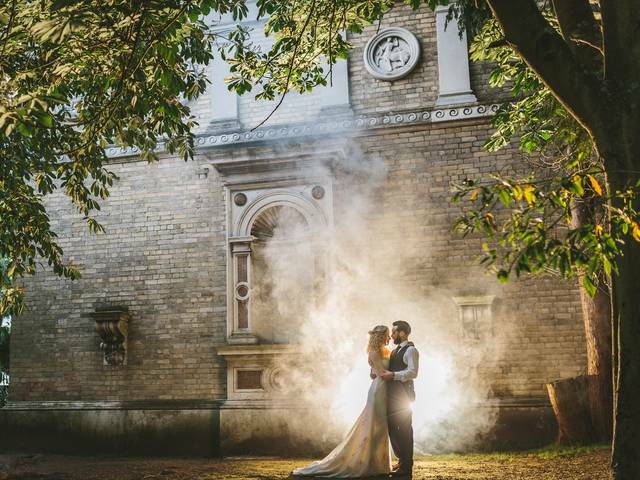 Get married at Hampton Court House, one of the most glamorous and romantic wedding venues in Surrey. Set in eight acres of magical 18th century gardens, it is a hidden gem located opposite the world renowned Hampton Court Palace. 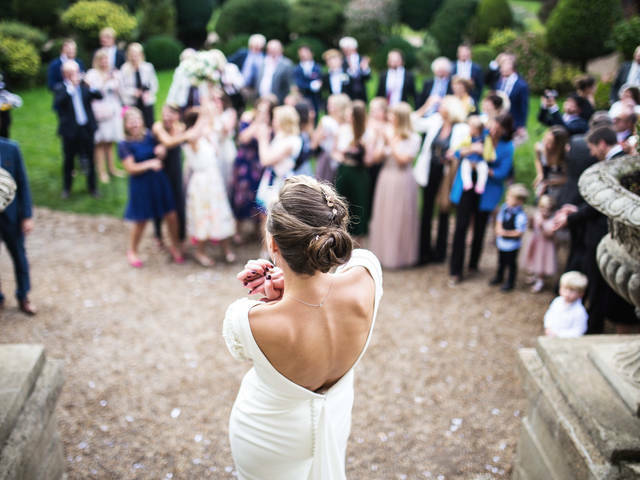 Bursting with character, it's the perfect venue to hold the most special day of your lives. A luxurious 18th century mansion house that can be adapted to suit your vision. With private parking and acres of land, including an authentic Shell Grotto folly, Hampton Court House makes for the perfect film location. 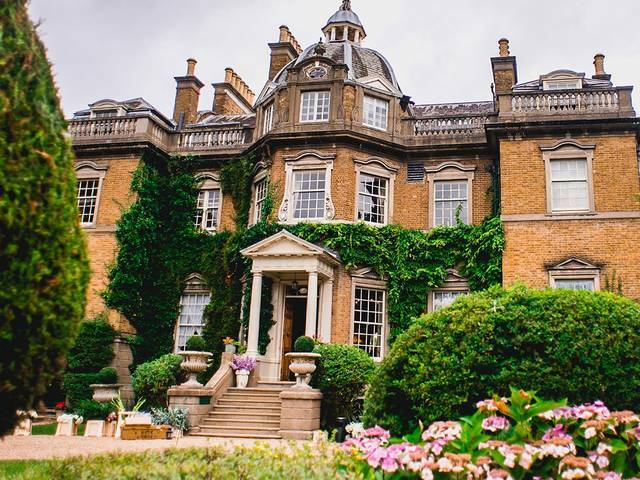 Take a look at our beautiful Georgian mansion and enchanting 18th century gardens. Get all you questions answered: speak with a member of our events team today. When it comes down to the finer details of the day, take a look at our useful tips.